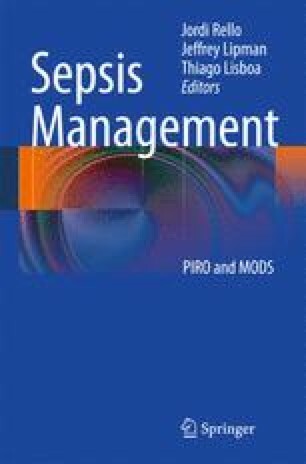 Despite knowledge about the significant impact on positive clinical outcomes from early and appropriate antimicrobial therapy in the treatment of severe infections in critically ill patients, there is still little understanding of strategies for dose optimization in multiple organ dysfunction syndrome (MODS). With this chapter, we intend to review the disease-driven changes in antimicrobial pharmacokinetics and pharmacodynamics, and to provide antimicrobial dosing recommendations for critically ill patients with MODS. From a pharmacokinetic viewpoint, the two main parameters that can be significantly altered in critically ill patients with MODS are the apparent volume of distribution (Vd) and clearance (CL). Most research in this area has described a larger Vd for many antimicrobials as well as impaired CL as the main pharmacokinetic consequences of MODS. The effects of an increased Vd for antimicrobials may be lower than expected plasma and tissue concentrations. However, decreased antimicrobial CL can lead to higher than expected concentrations, which may lead to high antimicrobial concentrations and possible drug toxicity. These pharmacokinetic changes may result in preventing the achievement of pharmacodynamic targets, resulting in suboptimal treatment. A broad dosing principle to be considered for critically ill patients with MODS would be the administration of loading doses of antimicrobials during the first day of therapy to account for the likely increased Vd. This should occur even in the presence of organ dysfunction. Thereafter, maintenance dosing must be guided by CL and adjusted to the degree of organ dysfunction for the eliminating organ. Further research is still required to define dosing regimens that will facilitate optimal antimicrobial concentrations in MODS. We would like to acknowledge funding of the Burns, Trauma and Critical Care Research Centre by National Health and Medical Research Council of Australia (Project Grant 519702), Australia and New Zealand College of Anaesthetists (ANZCA 06/037 and 09/032), Queensland Health – Health Practitioner Research Scheme and the Royal Brisbane and Women’s Hospital Research Foundation. Marta Ulldemolins is supported by CIBERES, AGAUR 09/SGR/1226 and FIS 07/90960. Dr. Roberts is funded by a fellowship from the National Health and Medical Research Council of Australia (Australian Based Health Professional Research Fellowship 569917). National Health and Medical Research Council of Australia (Project Grant 519702; Australian Based Health Professional Research Fellowship 569917), Australia and New Zealand College of Anaesthetists (ANZCA 06/037 and 09/032), CIBERES, AGAUR 09/SGR/1226 and FIS 07/90960.